You may enjoy at this page Punjab Curriculum & Textbook Board Lahore Jobs 2019 PCTB Latest. A post of Sub Engineer is vacant. The willing persons may appear for walk in interview on 18th February 2019 at 10.00am in the committee room of PCTB. 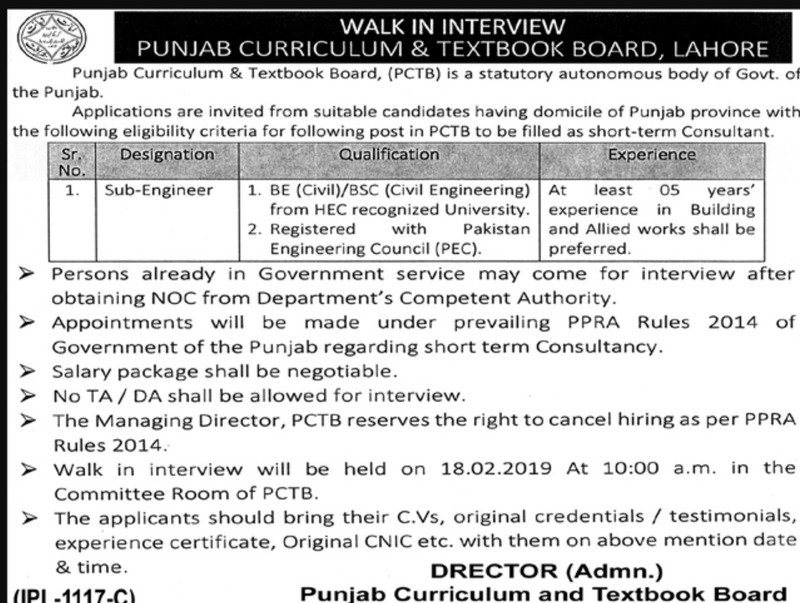 See job advertisement of Punjab Curriculum & Textbook Board published in Daily Nawaiwaqt dated 7th February 2019 for details.